I’m always looking for ways to stretch my grocery bill –because who isn’t on a budget these days, right? 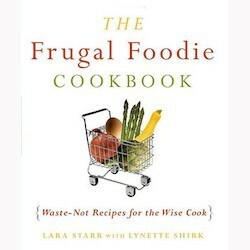 I enjoy finding new frugal recipes to try. So, I decided the other day that I would see how many budget-friendly recipes I could find online that were incredibly tasty and didn’t cost much to make. Country Pie – Country pie only costs between $6 and $7 to make, and it can last a family of 3 for 2 days. Now that’s frugal! Plain Muffins – I really like this one because she also tells you how to make whole wheat muffins, plus some other additions that you can add to the recipe to change it a bit. Veg-Out Soup – I love soup in the Fall! Homemade Donuts – The secret is to start with refrigerated canned biscuits. 6 Can Beef Stew – I make one almost like this. It’s so cheap to make — like $7. And you can make it in your crockpot too! Tomato Pie – A great way to use up all those fresh tomatoes from your garden! Bacon Cheeseburger Rice – This could be made a bit healthier if you substitute brown rice for white instant rice (which has no health value). Turkey Pot Pie – I like the ingenuity of using biscuits instead of a pie crust. And it amounts to about 30-cents a serving. Bagel Gone Bananas Recipe – Save money on cream cheese! Frugal Roasted Red Potatoes – Such a simple recipes that is incredibly tasty. Super Simple Tuna Casserole – It only costs about $4.50 to make. Easy Hamburger Casserole – I bet you’ve got all of these ingredients at home already. Whole Chicken Recipe – This one’s quick and easy, as long as you find whole chickens on sale. Chicken Marsala – The secret is starting with a whole chicken, a frugal foodie’s favorite! Lentil Shepherd’s Pie – a vegetarian take on classic Shepherd’s Pie with beef.